When you're mountain biking, you always want to have a helmet on to protect your precious noggin. Crystal balls do not come with mountain bikes so predicting when you'll crash is near impossible. 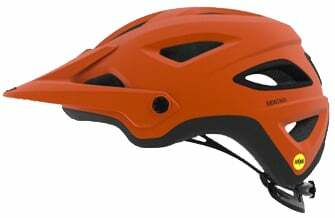 Always be prepared with the Giro Montaro MIPS Mountain Bike Helmet. It features a Roc Loc Air fit system so you can dial in the perfect fit. It is equipped with MIPS which redirects impact energy so it is not transferred to your head. The POV Plus visor makes it easy to put your goggles on the front of your helmet. It also has full camera mount integration which has a break-away interface.